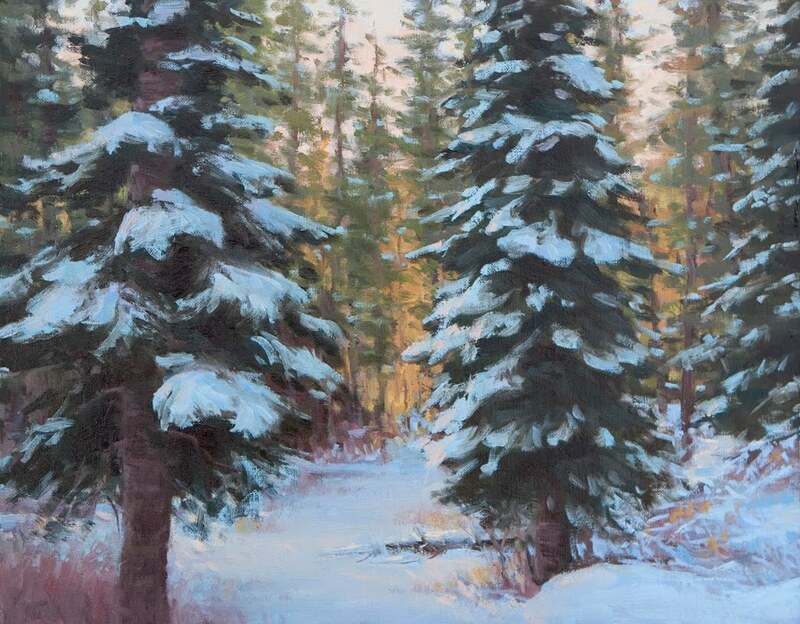 I can't seem to go very long before I have an irresistible urge to paint a snow scene. I like everything about them: being outside standing in the snow, the design challenges, the light and color, the interesting shapes and textures, and the quiet. This may be my Christmas card this year. I'm working on a series of smaller paintings for a show this fall; this is the first of hopefully many. The study for this was painted in northeastern Oregon. 14x11", oil on linen.